Fernvale Memorial Park is dedicated to the railway industry and forms part of the Brisbane Valley Rail Trail. 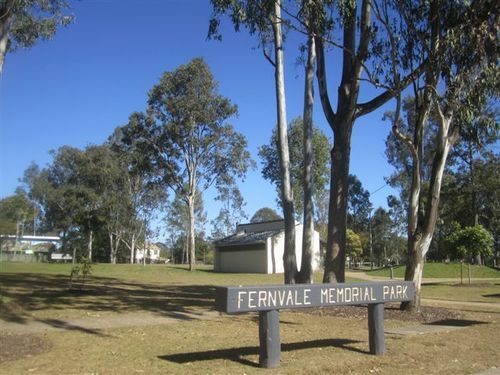 The Fernvale Memorial Park stands on the site of the old railway goods yards in the centre of Fernvale, adjacent to the Fernvale Futures Centre, and offers a children’s playground, picnic tables, car parking, toilets, and access to the Brisbane Valley Rail Trail. The park was upgraded to its present standard in 2006 as part of the Wivenhoe Alliance Legacy Project following the upgrade of the Wivenhoe Dam.